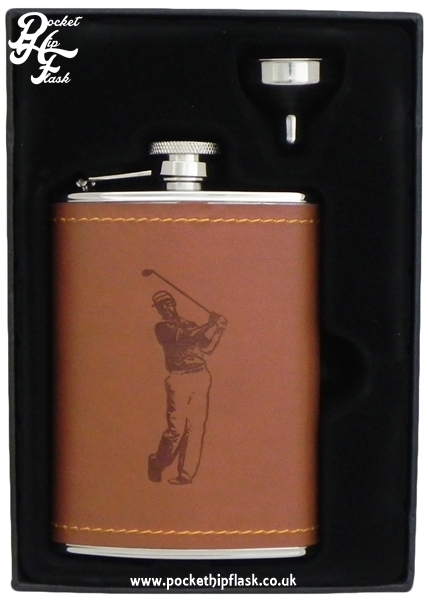 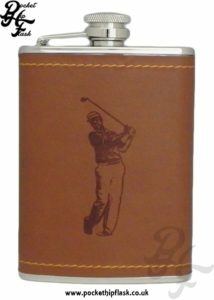 This is a well made stainless steel hip flask with tan faux leather and a indented (stamped) image of a golfer. 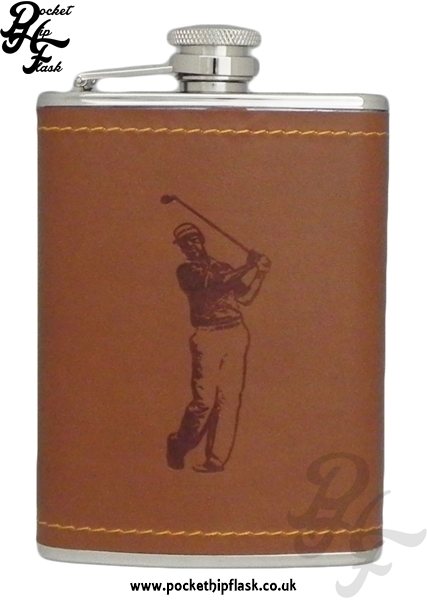 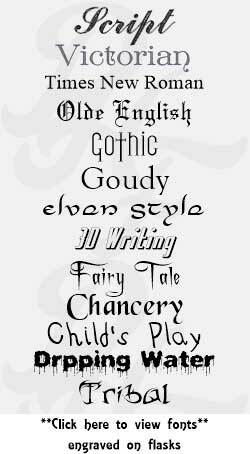 Great for any one who loves the to spend afternoons playing 18 holes. 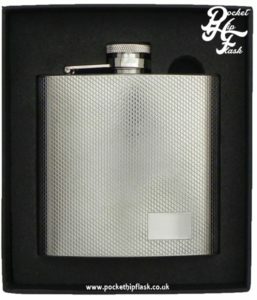 This hip flask has a captive top. 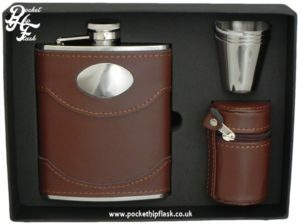 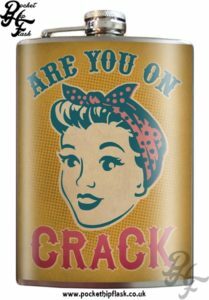 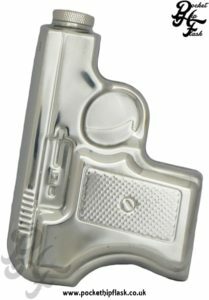 This hip flask is curved to fit your body. 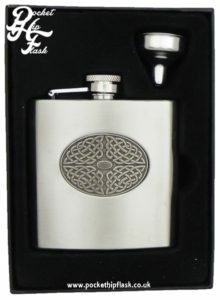 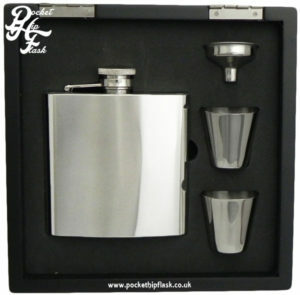 This hip flask comes complete with a stainless steel funnel.